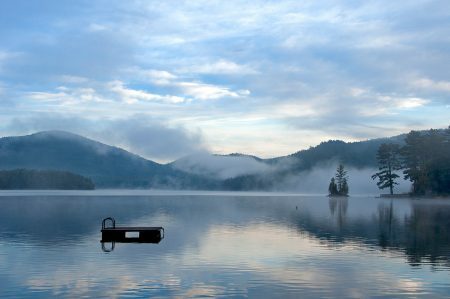 Loon Lake, like Friends Lake, is also about 3 miles long and shaped like a wishbone, offers quiet bays for fishing and a great atmosphere for families! Try hiking the Chester Challenge or check out the Dynamite Hill Recreation Area which offers skiing, sledding and snowboarding at no cost to area residents and out of town visitors. Many fine restaurants and shops in nearby Chestertown or spend an afternoon at Natural Stone Bridge and Caves. The Natural Stone Bridge, one of the oldest rock formations in the country is now known to be the largest marble cave entrance in the eastern U.S. and the cave systems are currently being surveyed by members of the National Speleological Society. Snowshoe trails are also available for winter use as well as snowshoe rentals where you can view frozen waterfalls, sinkholes, ledges, hidden valleys, ridge walks and views of Gore Mountain.